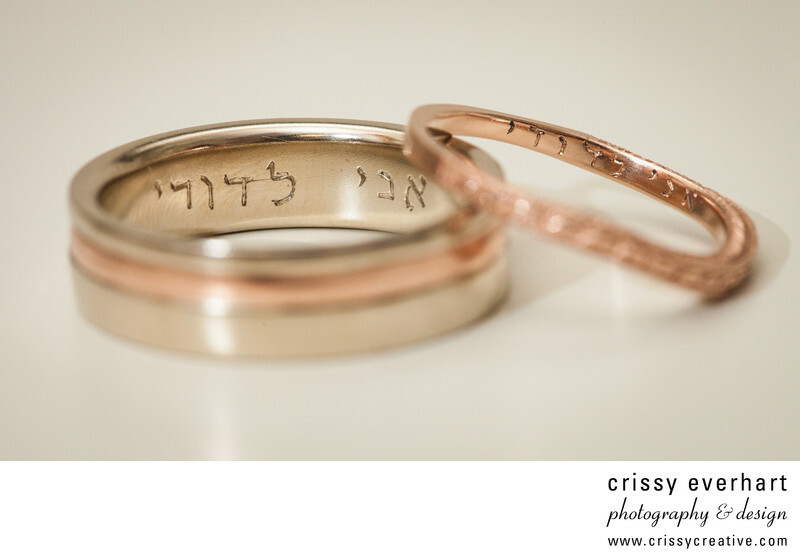 Wedding bands engraved with "I am my beloved, and my beloved is mine" in Hebrew. Groom's band is gold with a copper colored ring around it, and the bride's ring is copper colored, almost the same as the copper band in the groom's ring. This was for a Quaker (self uniting) Jewish combined wedding in the fall at Tyler Arboretum in Media, PA.